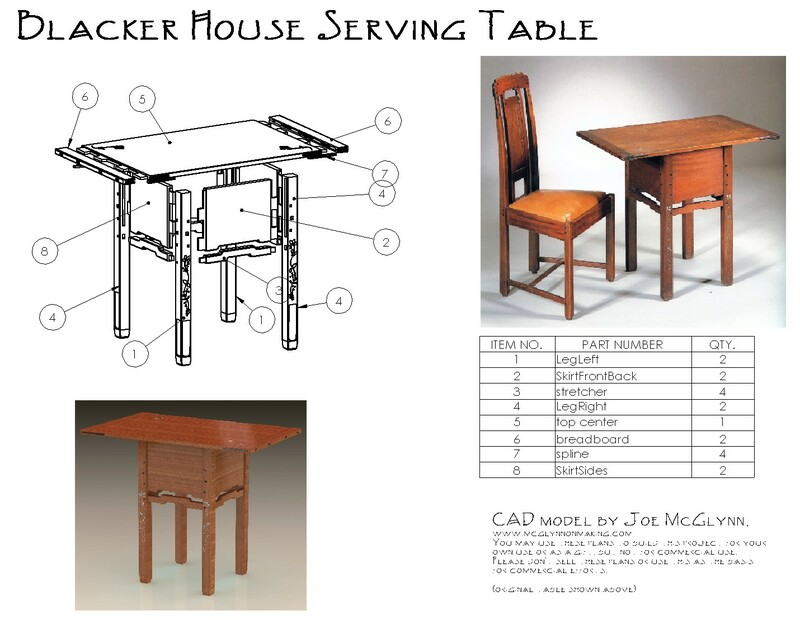 I came across an image of this table on the web a while back, and I knew it had to go on my list of projects. 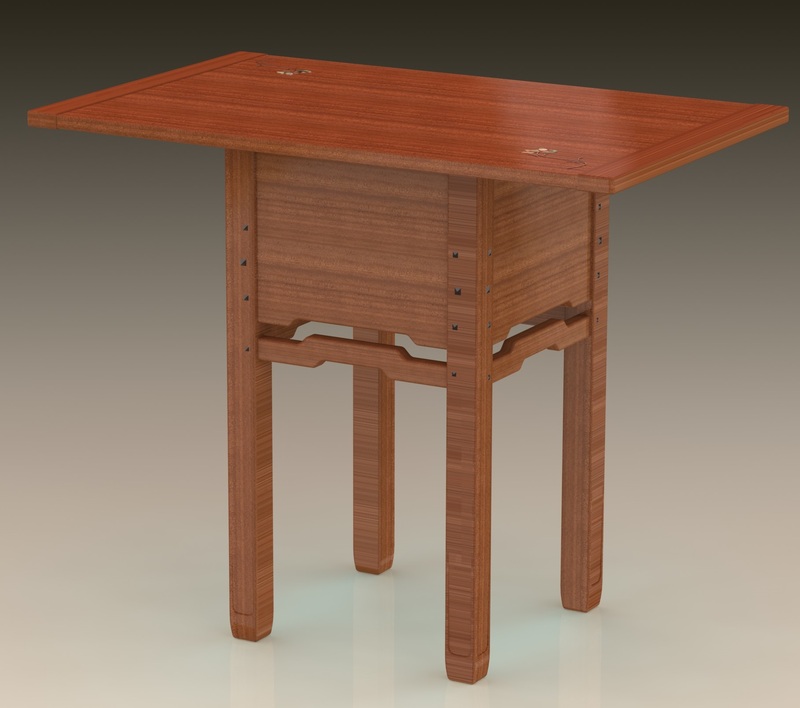 I blogged in the past about going through the process to model it in CAD, and I think I got pretty close. 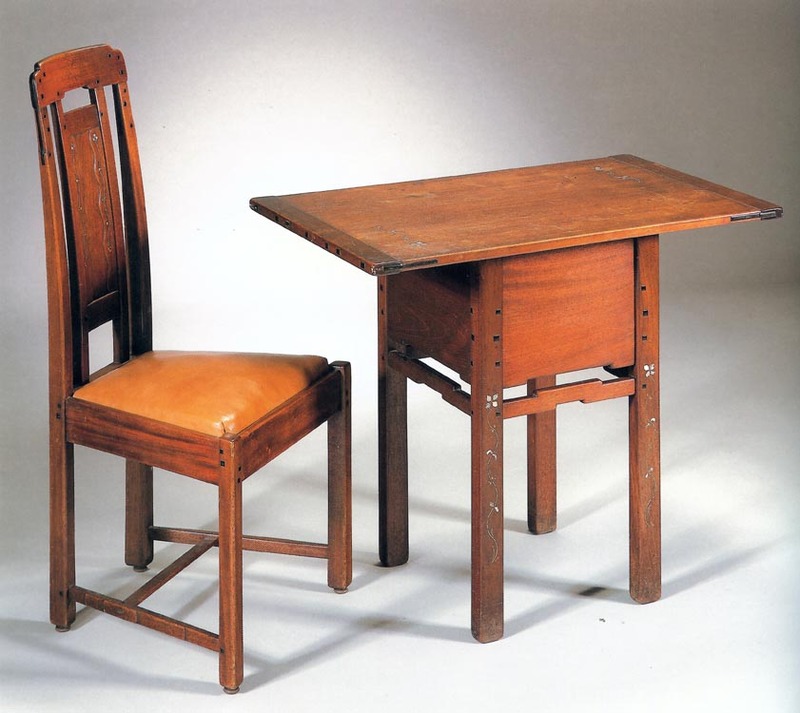 I made one change intentionally, adding the leg indent that was found on other pieces in the Blacker house. There will be several challenges in building this table, and I’ve already tripped over the first one. 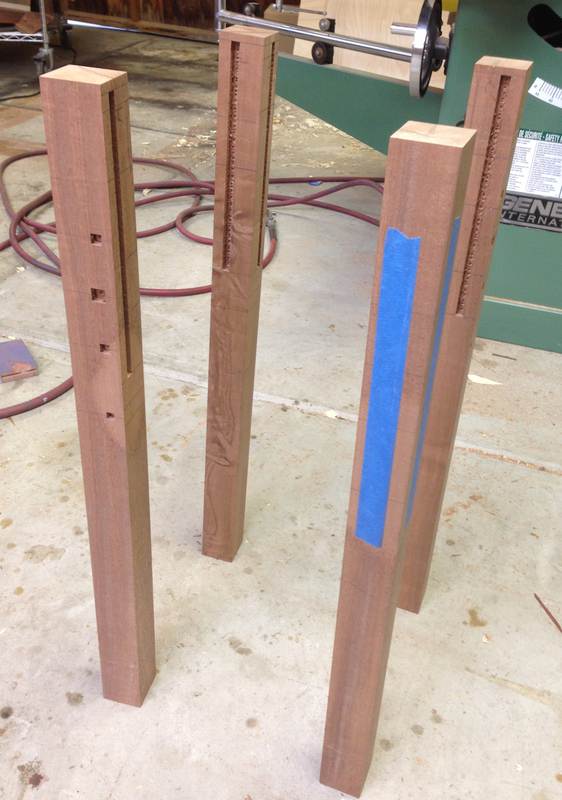 I started by milling six legs out of 8/4 full-sawn Sapele. Rough cut, this is about 2.125″ thick, I machined it down to slightly over the 1.875″ I called out in my model so I had stock for smoothing. I had really bad tear out with this stock, so I’ll probably have to scrape and then sand through several grits to get this smooth. On the other hand, all of the grain reversals should make it pretty. I rough cut the stock into six 2.125″ square blanks, slightly overlong, and mocked them up with a bit of scrap to simulate the proportions of the table. It’s too early to have a clear picture from the mock up, but al least it looks reasonable so far. Then I milled everything to size and started laying out the ebony plug locations, and mortises. I mentioned that there are several likely problem spots, the first is the mortises. 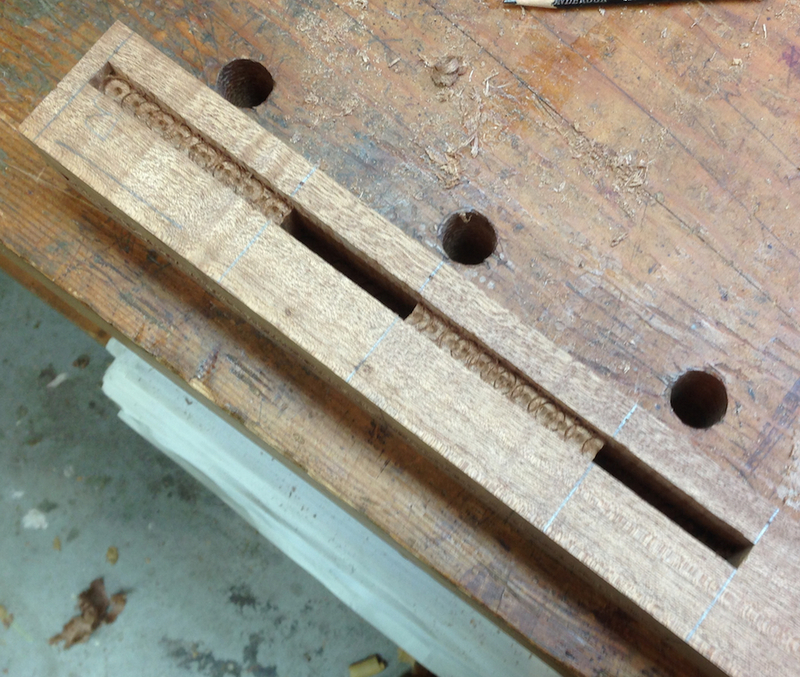 The layout is fairly complex, there is a wide stub tenon, and two full tenons on each skirt end. 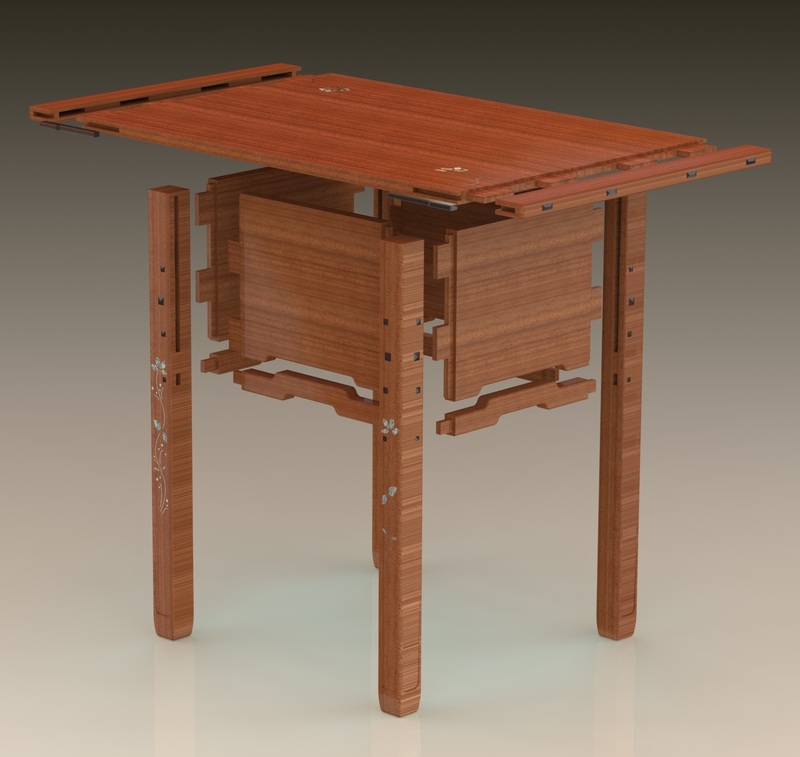 The tenons on the sides bypass the tenons on the front and back, and there is a 1/2″ of solid material in the leg between the two adjacent mortises for strength. That is, none of the mortices holes intersect. 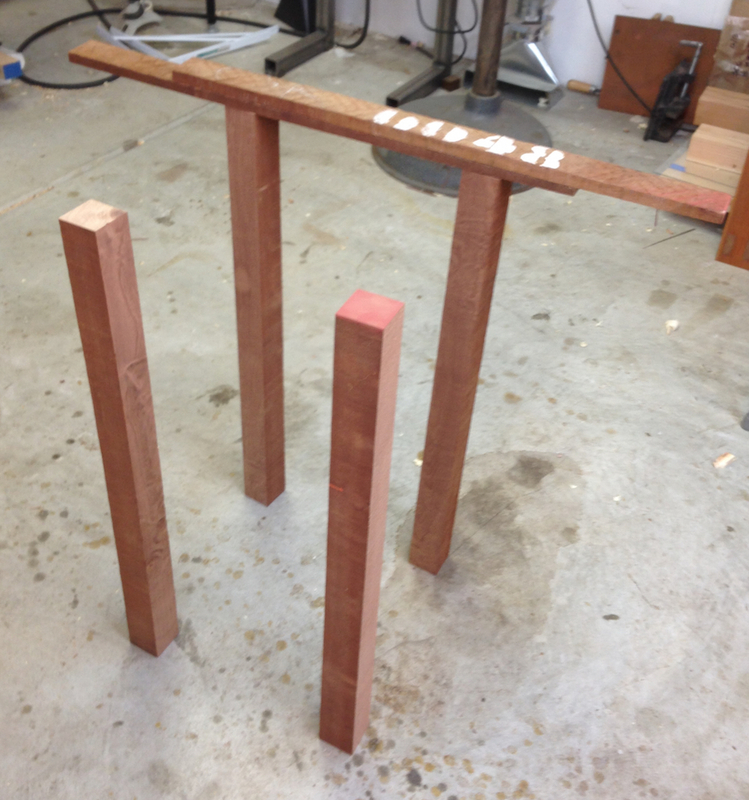 Dimensioned legs, starting to mortise for joinery and ebony pegs. The blue tape is something new, to help me keep my orientation. 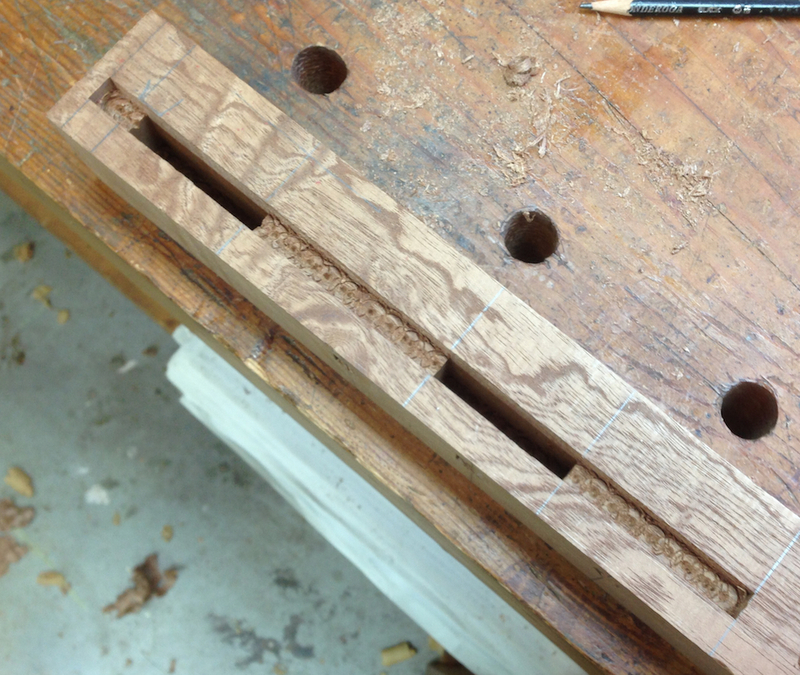 I’ll add a couple pictures of the first completed mortise, I think you’ll see what I mean about the layout in the pictures. 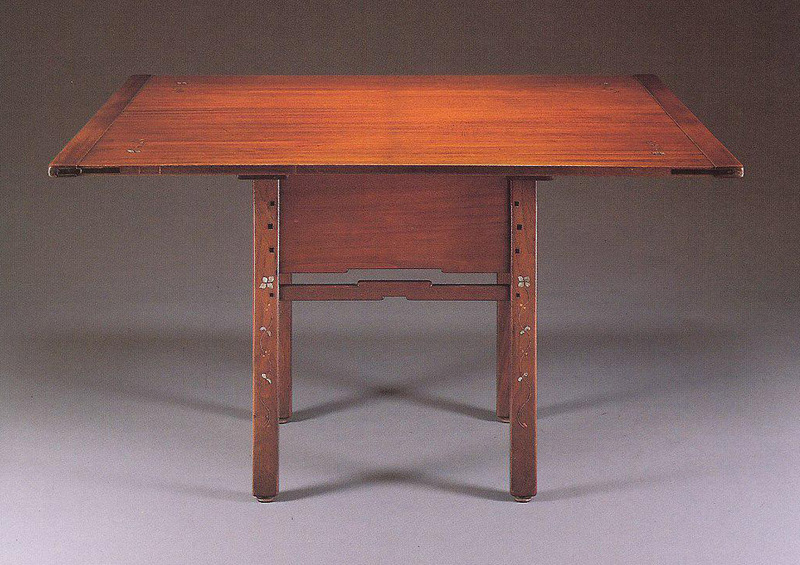 If the layout anywhere on the four legs is wrong the table won’t go together. 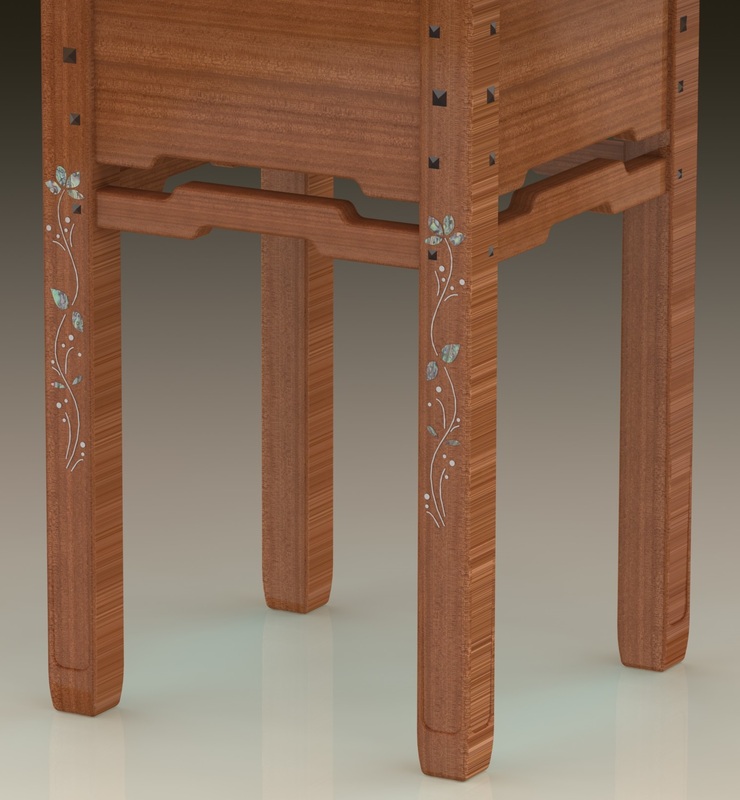 Once I make it past the mortises I’ll rough in the skirts. 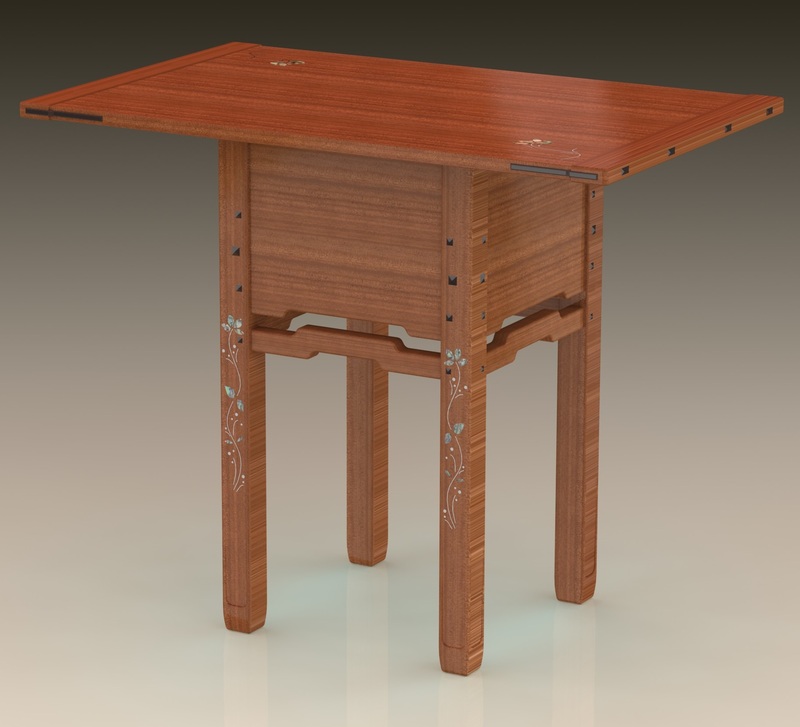 The most scary part of the project is the silver and abalone inlay in the legs and top. I won’t do that until late in the project, and if it goes badly it will be kind of a problem. I’ll do a practice run on my scrap leg as a confidence builder. One step at a time I guess. I drove down to Watsonville today, to Jackel Enterprises, which it the local specialty lumberyard. 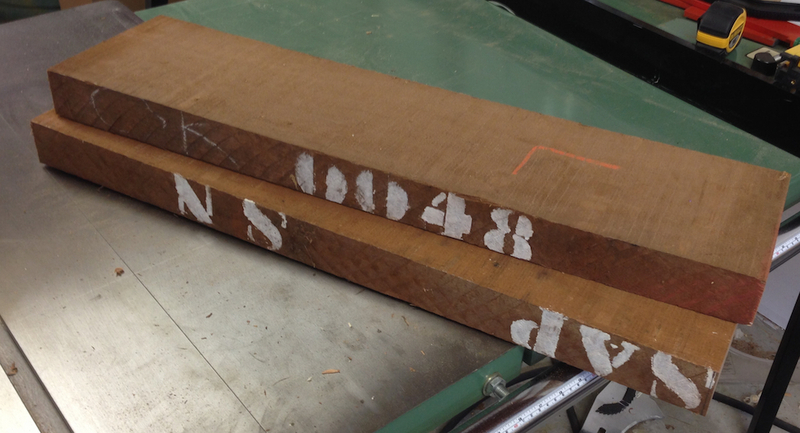 I picked up three 7′ 4/4 Sapele boards. 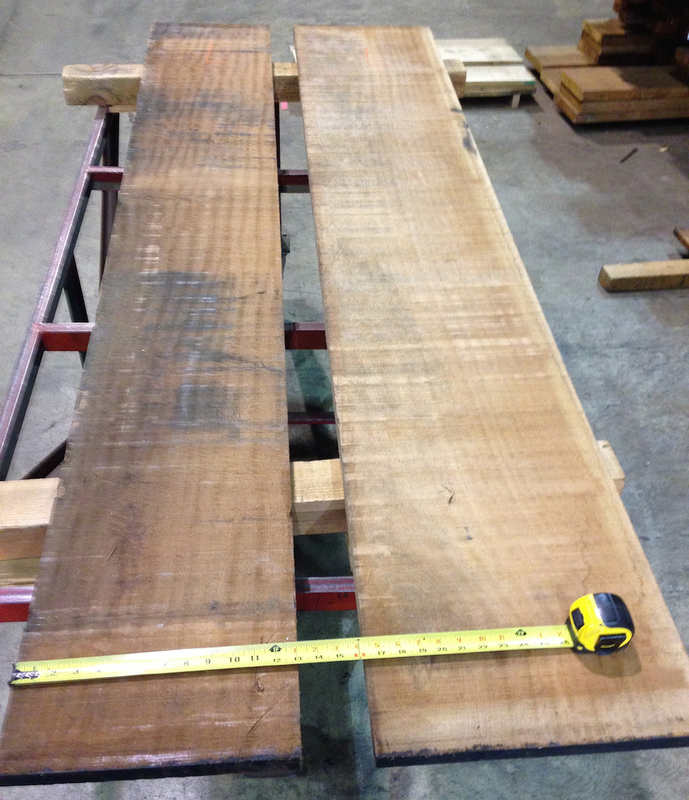 All were at least 12″ wide — this is a great thing about Sapele, you can get nice wide quarter sawn boards. Most boards in the stack were around 9″, but in the top 3 layers there were these three nice wide boards. One will cover the skirts and stretchers, one should make up the top, which leaves one to take care of any screwups. If it all goes smoothly, I’ll make a batch of cutting boards or something.